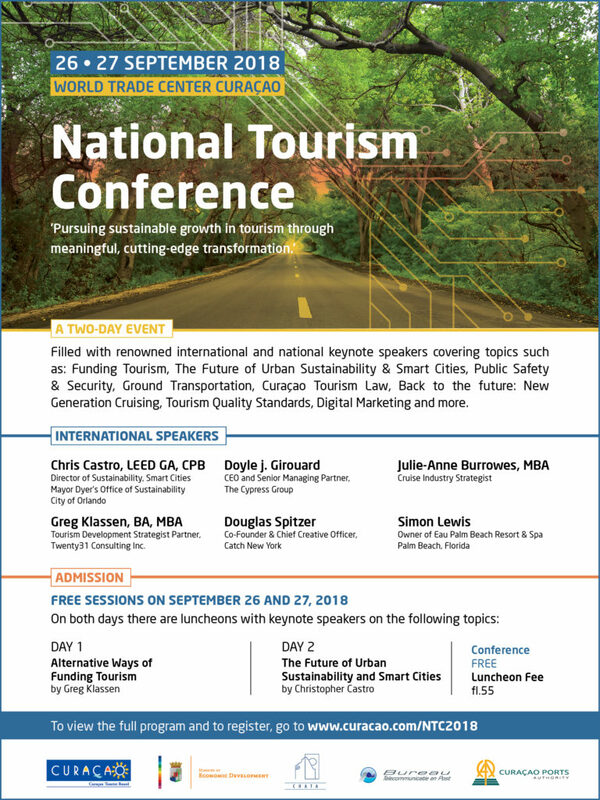 Ministry of Economic Development (MEO), Curaçao Hospitality & Tourism Association (CHATA), Curaçao Ports Authority (CPA) and Bureau Telecommunicatie en Post (BT&P) are presenting: the National Tourism Conference (NTC2018). The conference offers a great opportunity to exchange knowledge and opens up areas of cooperation between the various stakeholders. Both days are filled with knowledgeable international and national keynote speakers.